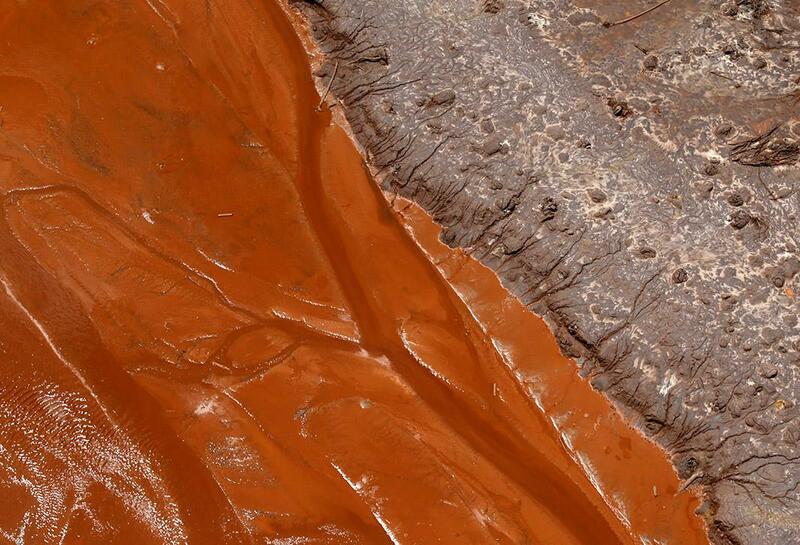 Brazil mining dam disaster: toxic sludge and irreversible environmental damage. 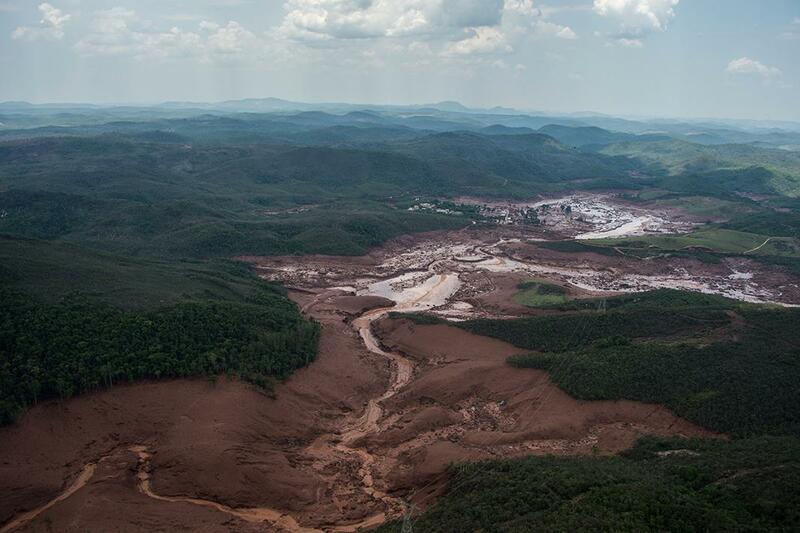 Brazil’s mining dam disaster, the worst in the country’s history, will continue to cause irreparable environmental damage for years. 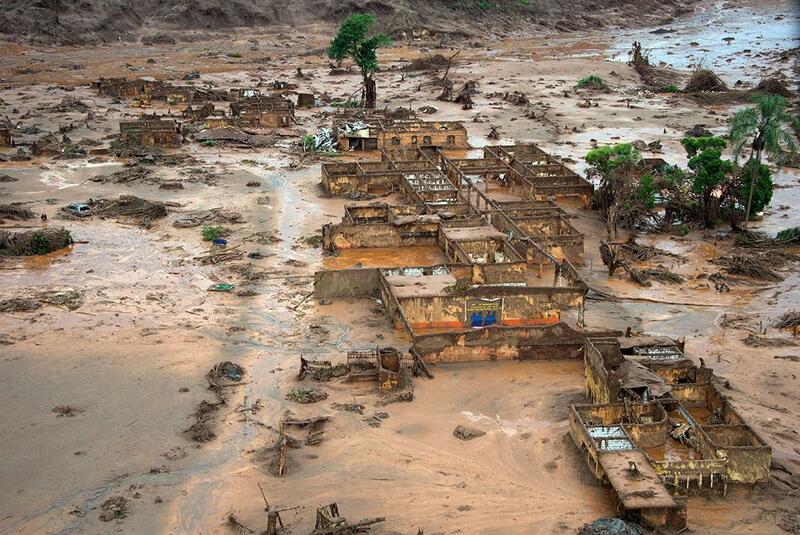 An aerial picture taken a day after a dam burst in Bento Rodrigues, a village of some 600 people near the Brazilian southeastern city of Mariana in the historic mining region of Minas Gerais, Nov. 6, 2015. 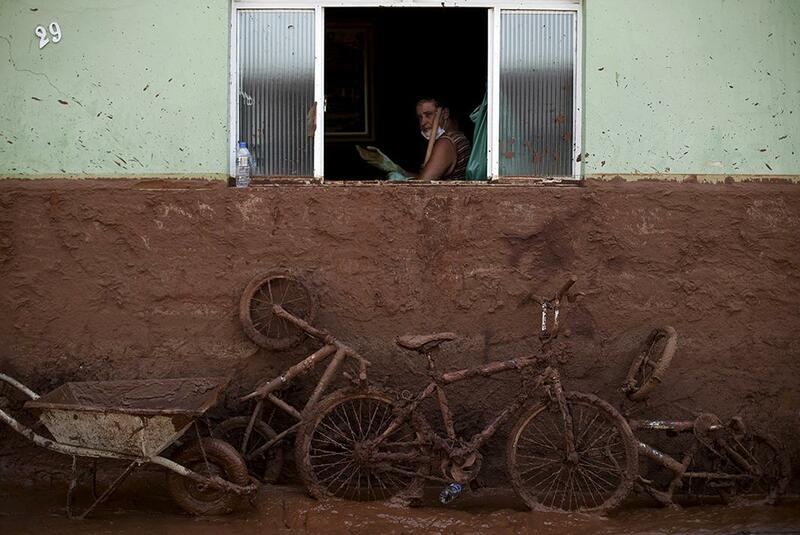 Residents observe the Bento Rodrigues district covered with mud after a dam owned by Vale SA and BHP Billiton burst in Mariana, Brazil, Nov. 6, 2015. The search for bodies and survivors was slow. Mudslides knocked out roads and cellular towers, covered houses, upturned cars, smothered wild and farm animals in their paths, cut off drinking water for a quarter-of-a-million people, and raised health and environmental concerns in cities more than 186 miles downstream. An aerial view of the Rio Doce (Doce River), which was flooded with mud after a dam burst, at an area where the river joins the sea on the coast of Espirito Santo in Regencia Village, Brazil, Nov. 23, 2015. 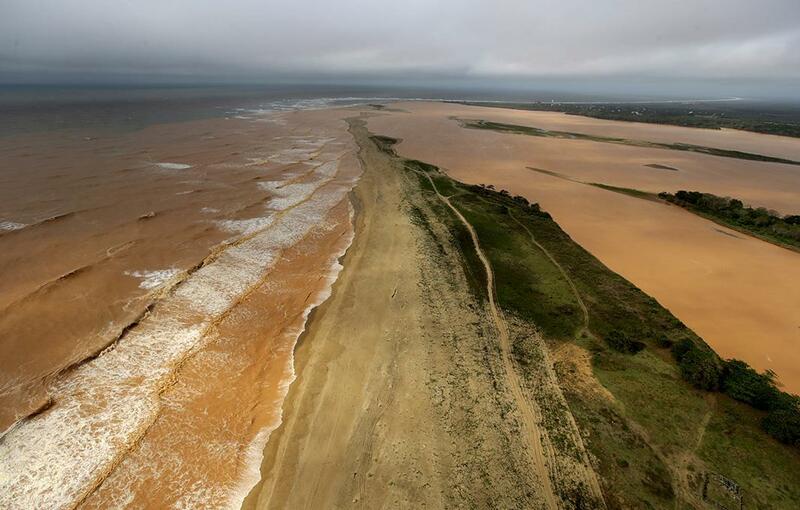 The Rio Doce (Doce River) joins the sea, which was flooded with mud after the dam burst, on the coast of Espirito Santo in Povoacao Village, Brazil, Nov. 22, 2015. Aerial view of damages after a dam burst in the village of Bento Rodrigues, in Mariana, Minas Gerais state, Brazil, Nov. 6, 2015. The man-made disaster not only killed at least 12 people; it injured 75 others, while at least 19 are still missing—the U.N.’s Office of the High Commissioner for Human Rights said the residue “contained high levels of toxic heavy metals and other toxic chemicals,” like arsenic and mercury, making the damages most likely irreversible, as the toxic sludge continues to permeate both land and water. 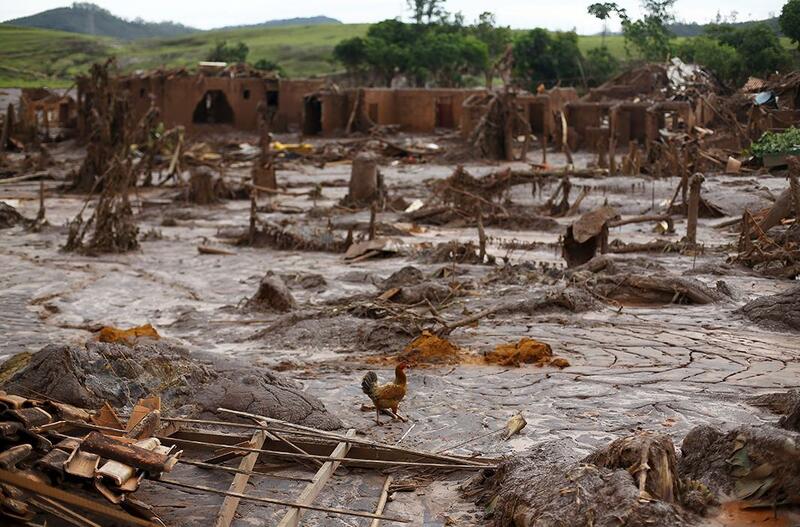 A chicken walks on debris in the Bento Rodrigues district after a dam owned by Vale SA and BHP Billiton burst, in Mariana, Brazil, Nov. 9, 2015. A firefighter stands on the roof of a destroyed house, in Bento Rodrigues district, after a dam burst in Mariana, Brazil, Nov. 9, 2015. 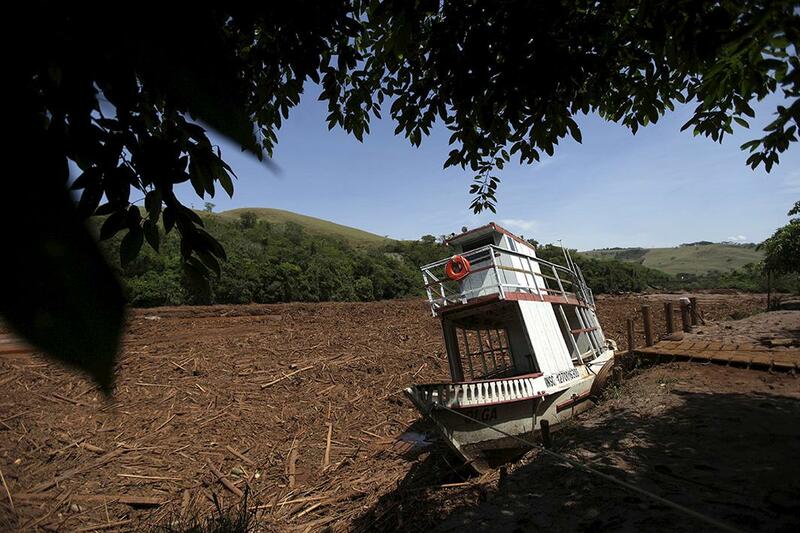 A boat is pictured in Rio Doce (Doce River) after a dam burst in Santa Cruz do Escalvado, Brazil, Nov. 12, 2015. 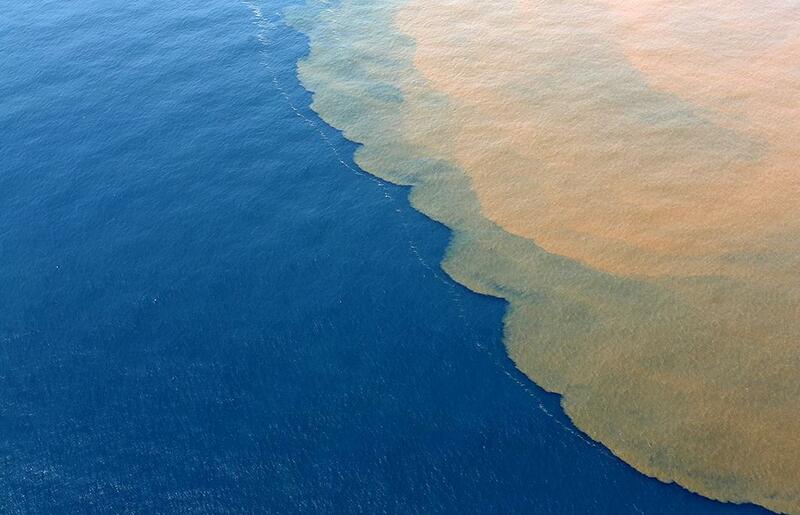 Brazil’s environmental officials warn the damages to aquatic flora and fauna could last a generation. The contaminated waters have both surged upstream and reached the Atlantic by now, killing thousands of fish and turtles in the process. Depending on the tides, they could reach a system of islands and reefs that are a safe haven for endangered sea turtles and dolphins to breed. 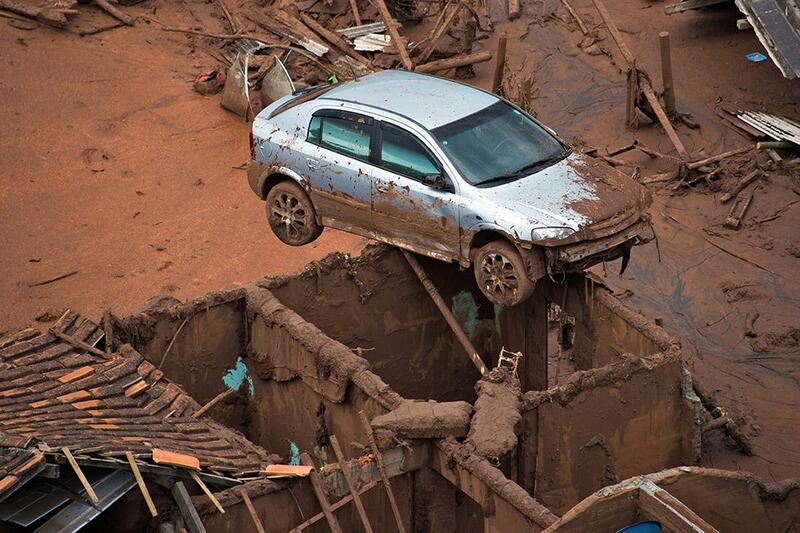 During the climate conference in Paris this week, president Dilma Rousseff blamed the disaster on the “irresponsible action of a company,” Samarco, which operates the site and is owned by two mining giants, Vale of Brazil and BHP Billiton of Australia. 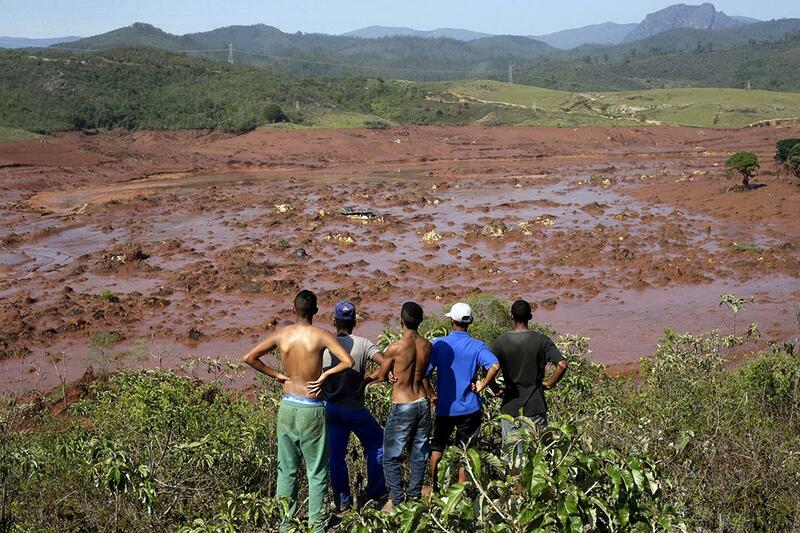 Brazil will sue the companies for $7.2 billion in damages. 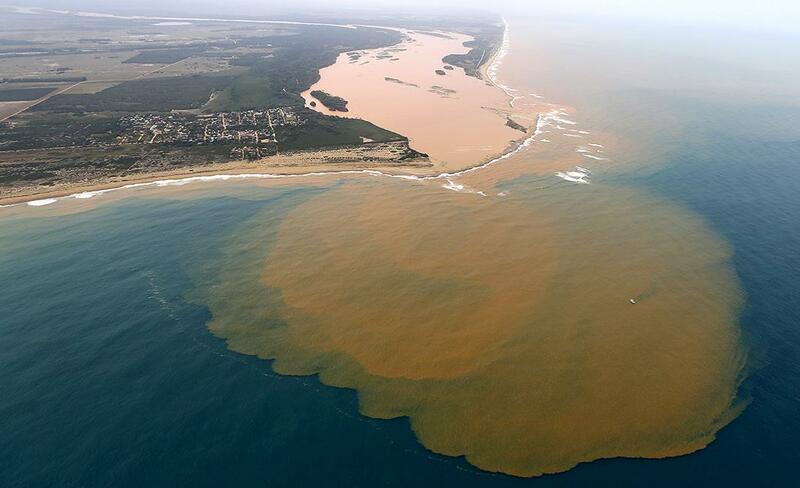 BHP Billiton is helping in Brazil’s damage control efforts, particularly with Operation Noah’s Ark, an effort to rescue and relocate aquatic life, but it denies the U.N.’s claims that the residue is highly toxic. Brazilian firemen rescue a foal that remained next to its mother after a dam burst in the village of Bento Rodrigues, in Mariana, Minas Gerais state, Brazil, Nov. 6, 2015. 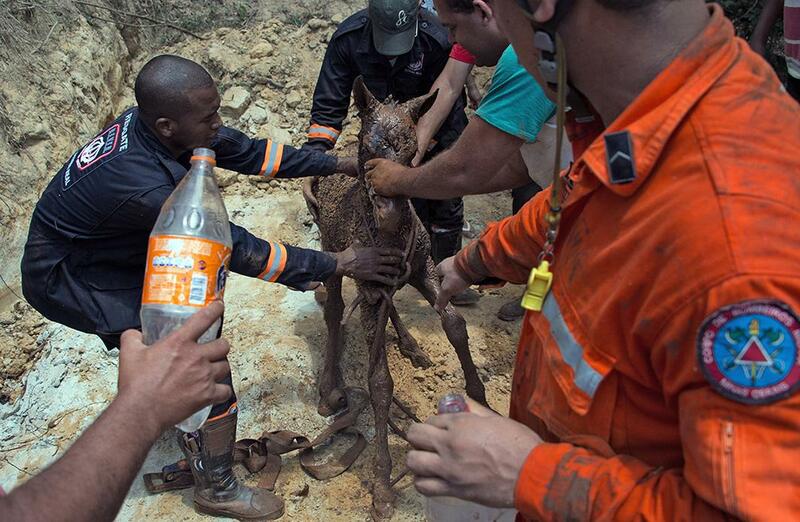 Brazilian firemen rescue a foal that was trapped in the mud after a dam burst in the village of Bento Rodrigues, in Mariana, Minas Gerais state, Brazil, Nov. 6, 2015. 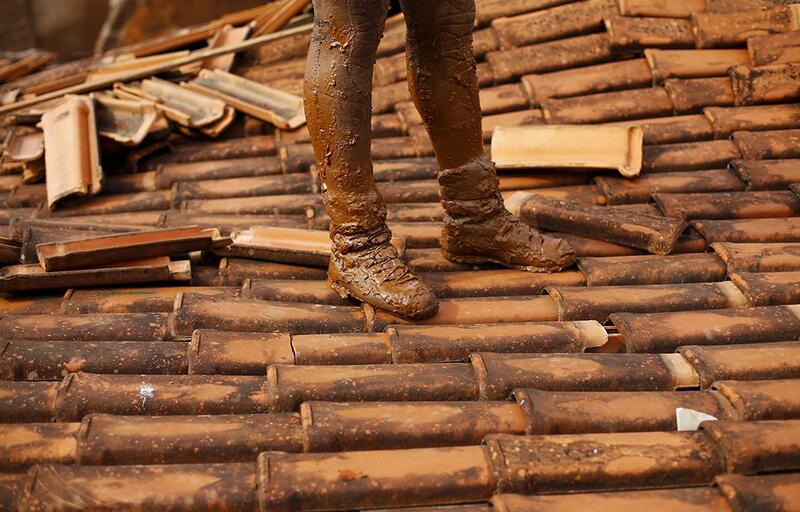 A man works on the cleaning of a house flooded with mud after a dam owned by Vale SA and BHP Billiton burst, in Barra Longa, Brazil, November 7, 2015. Environmental activists perform during a protest in front of the headquarters of Brazilian mining company Vale SA in downtown Rio de Janeiro, Nov. 16, 2015. 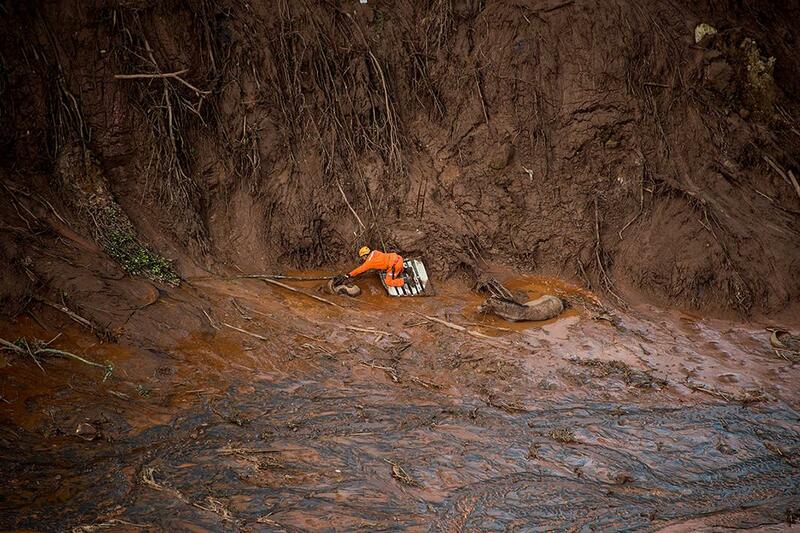 General view of mud near the Bento Rodigues district, which was covered with mud after a dam burst in Mariana, Brazil, Nov. 10, 2015. 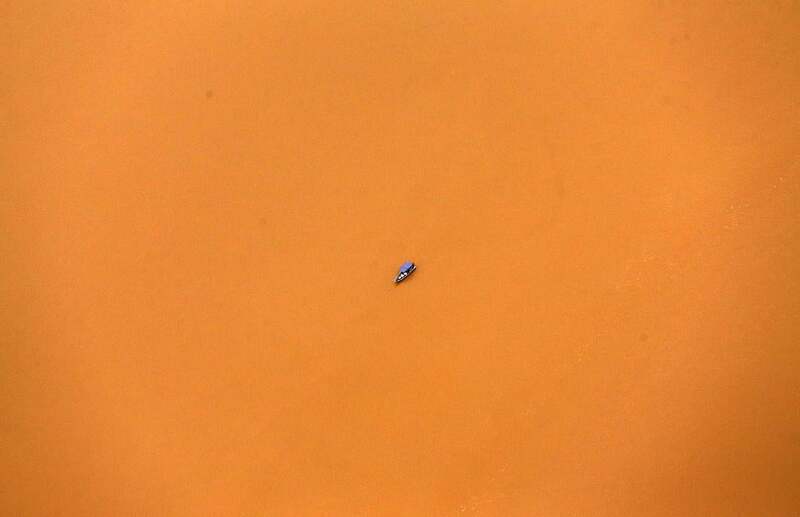 A boat is seen near the mouth of Rio Doce (Doce River), which was flooded with mud after a dam burst, as the river joins the sea on the coast of Espirito Santo in Regencia Village, Brazil, Nov. 21, 2015. An aerial view of the mud that flooded the Rio Doce (Doce River), joining the sea on the coast of Espirito Santo, after a dam burst, in Regencia Village, Brazil, Nov. 23, 2015. 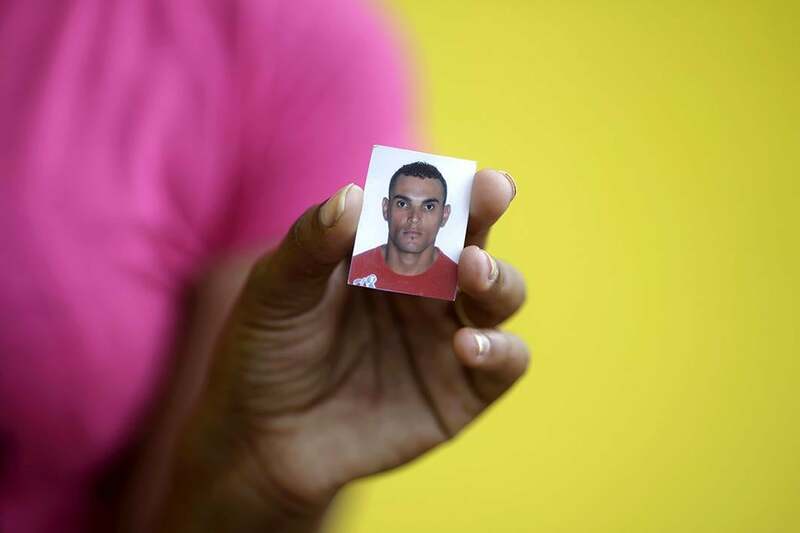 Jaqueline da Aparecida Fernandes shows the picture of her brother Mateus Marcio Fernandes, 29, who has been missing since the dam where he worked burst in Mariana, Brazil, Nov. 7, 2015. 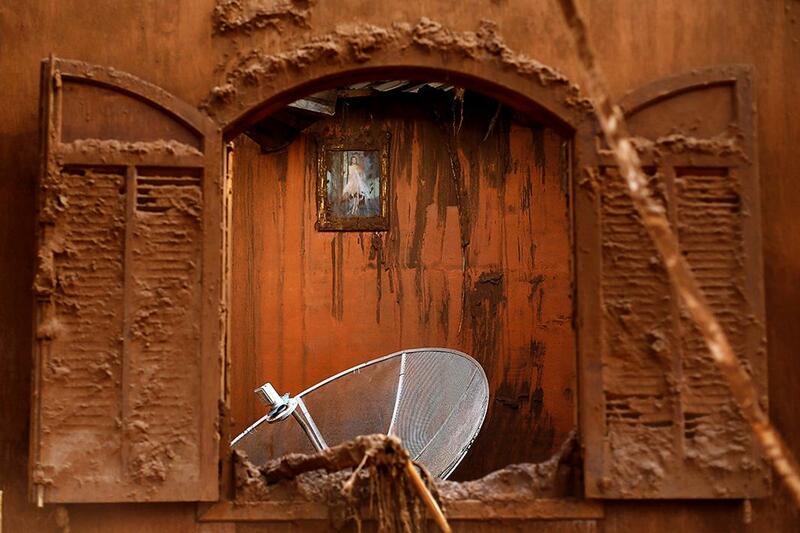 A window of a damaged house in the Bento Rodrigues district after a dam in Mariana, Brazil, Nov. 9, 2015.